Cyclical Vomit | Constant regurgitations of my thoughts! Constant regurgitations of my thoughts! Have you Hugged a Fireman Today? Ok, so neither have I (ok, there was that awkward embrace with my 2nd cousin last Friday). Each year our church hosts a chili and wing cook-off/Firefighter appreciation banquet. We invite the firefighters and their families to the church for an evening of entertainment and food, and there is a competition for best chili and wings. This year, we decided to do things a little differently, and show them our appreciation by first taking them some chili and wings along with an invitation to the cook-off. I called the fire stations to find out how many people were on staff at a time to know how much food to take to them. You would have thought I was asking them if I could bring them a million dollars – they were very appreciative! Today I took the first chili and wings into 3 stations. They were all thrilled that we thought of them, and a little curious why a church was doing it. Shouldn’t the church be the first ones showing our support in the community? The fire department is the first group into an emergency, and wouldn’t it be great if the first people they thought of to call for help was the church? As it is, the church is not called for help because we have stayed in our comfortable buildings behind our pretty stained glass. Let’s get out there and be the church! 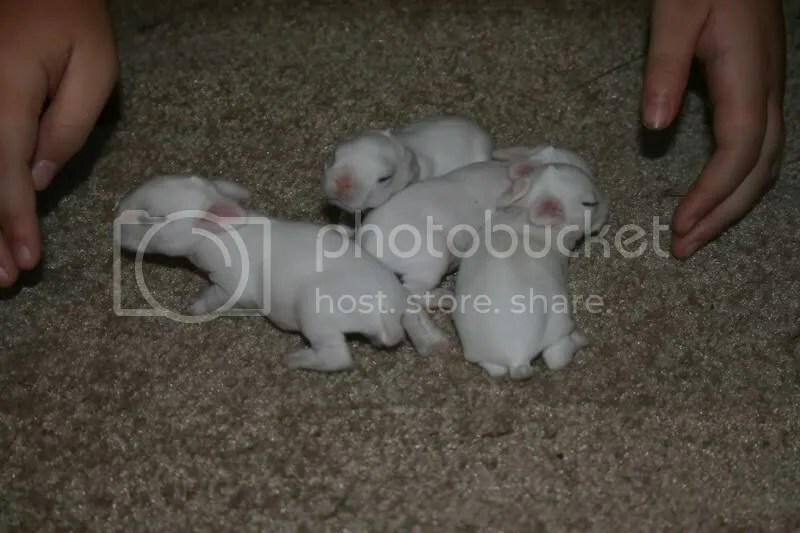 OK – I have noticed I am getting lots of hits on my website because of the rabbits. 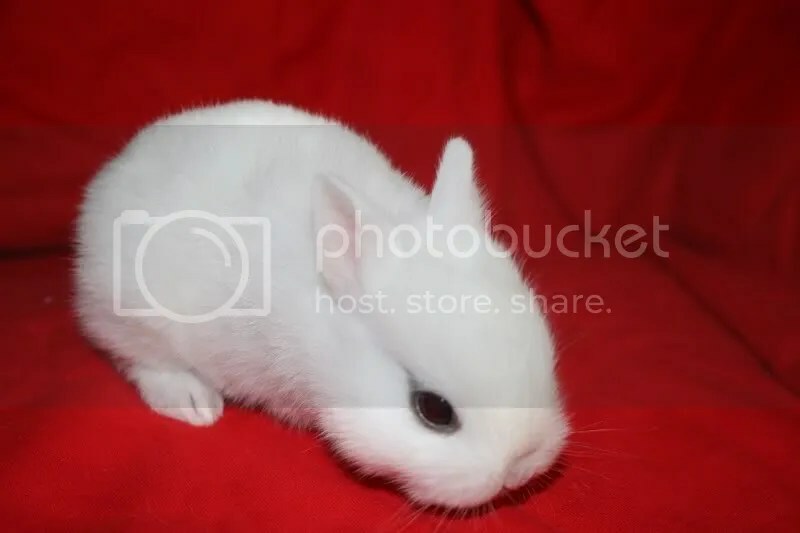 We have lots of cute rabbits, and many of them are for sale! A now familiar cry from an infamous character from the American landscape – Rodney King! I have been thinking about this within the church context, and even within relationships in general. Is it perhaps because rather than talking to one another, we spend more time guessing what someone else thinks, or worse yet playing the “he said, she said” game. I wish they were more numerous, but there have been a few times when someone thought they knew what I was thinking, and instead of stewing about it, they came directly to me. The hurt that was thought to have been there was typically not there, and relationships healed. There have been times I have needed to go to someone and ask their thoughts directly, and you know what the funny thing is? Most people appreciate that! Why can’t we all just get along? Maybe if we would stop assuming what someone else said or thought, we could get along a little easier! Just some thoughts I vomitted up…sorry for the mini-rant! Our 24 hours of prayer has started! One of the elders here at Ontario Christian Church kicked things off this morning! I am thrilled that people are still devoted to prayer! Out of all the slots of time to fill, only 2 remained unfilled as of this morning: midnight Saturday and 4 am Sunday! That is exciting! I have encouraged our people to fast during this time also. We don’t talk a whole lot about fasting, but Jesus assumed we would do it just like he assumed we would pray! Matthew 6 says, “When you fast” not if. We assume that fasting is supposed to be completely private, but it is shown by Jesus to be just as private as praying, and we don’t hesitate to tell someone that we are praying for them. Maybe we need to encourage one another to fast more regularly and offer ourselves as living sacrifices holy and pleasing to God! This weekend Ontario Christian Church will be participating in our 2nd 24 hours of prayer. This is an incredible time of corporate and individual prayer where I have asked members of this body to sign up for 1 hour time slots to come to the building and pray. While they are here, they are asked to pray for the lost, pray for our community, pray for this church, pray for the universal Church, and really anything that comes to mind! Amazing things happen when we enter the throne room of God! Time seems to either stand still, or fly by! Allow God to meet you in prayer this weekend as our church meets God on Saturday and Sunday! 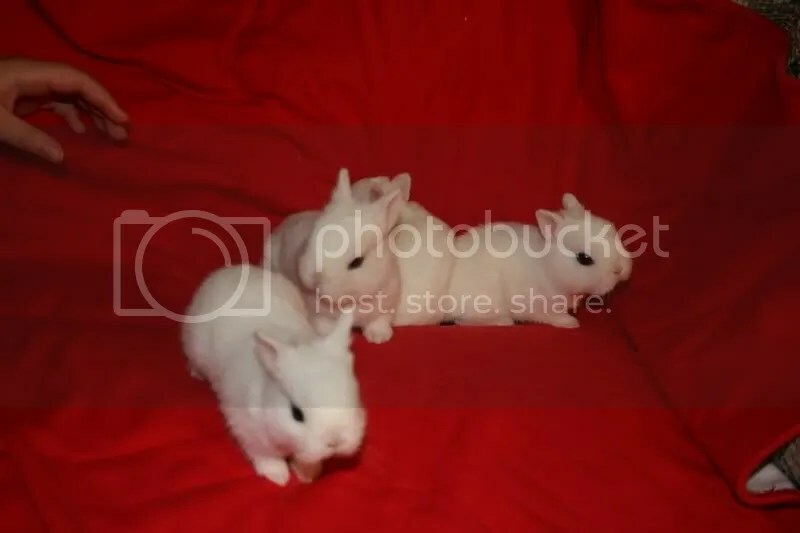 OK – I know I am not helping with any theological discussions, or providing any deep insight, but here are updated pictures of my daughters bunnies! C’mon Derrick – you know the grandkids want one! No, not baby children – 5 is definitely enough! 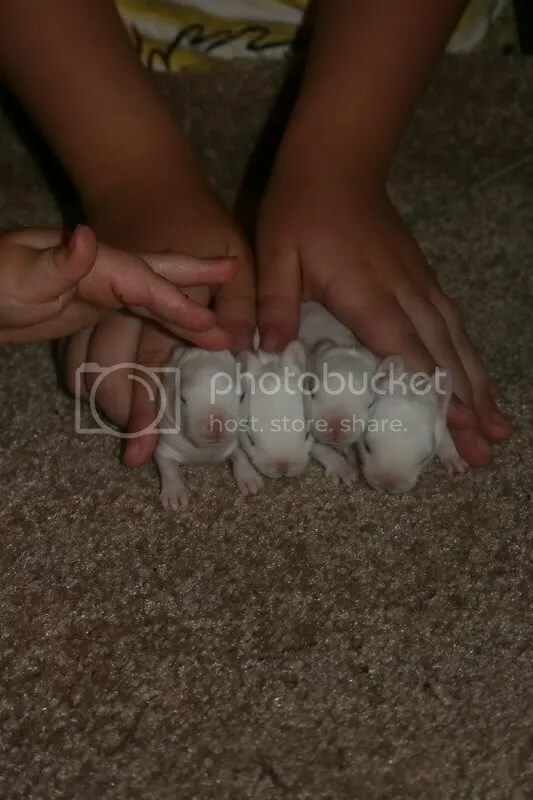 My daughter breeds Dwarf Hotot rabbits, and last Friday she had a doe give birth to her first litter! 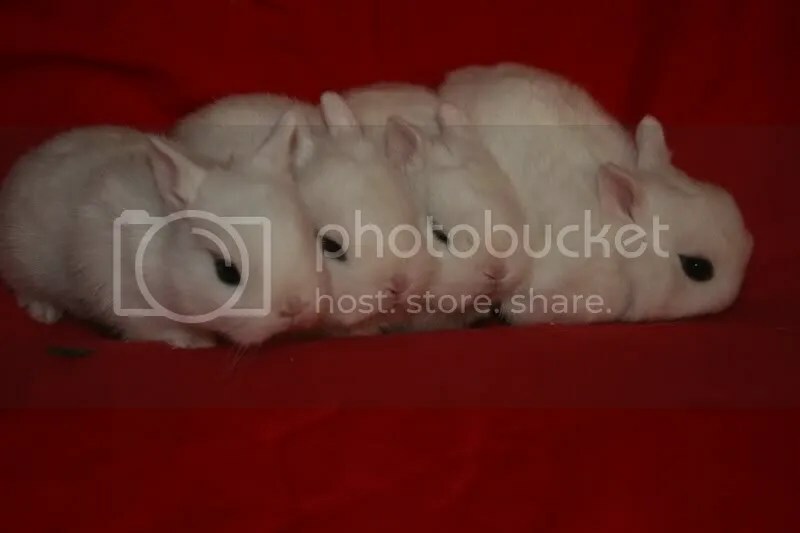 4 cute little rabbits that appear to be marked perfectly! We will see as they get older! I am a Christian, a husband, a dad, and a preacher! In that order! This blog is just my chance to regurgitate all the stuff that I feel like spouting, and more than likely, I am going to say some of it over and over again!